The BB06 or ‘Mega Jaws’ waste glass bottle crusher is ideal for hospitality or other businesses producing large quantities of waste glass bottles in the course of their business operations. 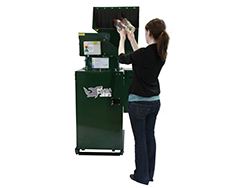 The BB06 is a stand-alone glass bottle crusher or glass bottle breaker that generates savings on labour, creates space and reduces the customer’s overall waste glass disposal costs. The waste glass or cullet is collected in a 140 Litre wheelie bin holding the equivalent of 680 bottles of crushed glass. 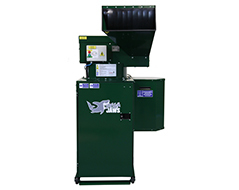 The BB06 waste glass bottle crusher is typically located ‘back-of-house’ where the integrated extraction unit makes it suitable for use in areas with limited ventilation. 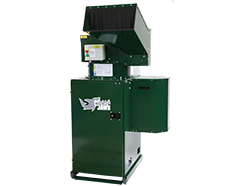 The machine offers a durable powder coat finish making it suitable for use both indoors and outdoors. The BB06 reduces waste glass bottle volume by 5:1 or 80% and will crush or break up to 4000 waste glass bottles per hour. Crushing waste glass bottles eliminates ‘bottle clinking’ noise pollution (major problem for hotels) which occurs when tipping empty bottles on collection. The BB06 Bottle Crusher is manufactured to ISO9001 & is CE Certified. The ‘Mega Jaws’ eliminates the need to sort waste glass bottles into different colours which dramatically reduces the labour cost associated with managing those waste bottles, the frequency of glass collections required and the overall waste glass disposal costs for your business. The BB06 reduces was glass bottle volume by 5:1 or 80%, dramatically reducing the space required for storage of waste glass prior to collection. Wheels built into the machine base makes it easy to move and store if space is at a premium. The BB06 requires a 220V/50Hz mains electricity supply, is connected via a standard 3 pin socket and with dimensions of 1085mm (W) x 1060mm (D) x 1220mm (H) is easy to install. The crushed glass produced by the BB06 is 100% reprocessable into new bottles saving on C02 emissions and carbon footprint associated with production of glass bottles. 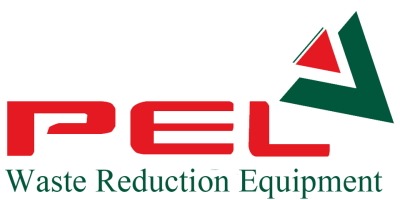 Reviews have been disabled for PEL - Model BB06 - Mega Jaws Glass Bottle Crusher.